Autonomous vehicles are slowly but surely infiltrating the world we inhabit. Google’s work with driverless cars in California is well documented, with several big automotive names also showing an interest and investing heavily. For better or worse – unmanned aerial drones are now a major component of military operations, used to both gather intelligence and deliver airstrikes. When it comes to rail, metro systems around the globe are beginning to embrace automation, and a London Underground served by driverless trains in the near future is not difficult to envisage. Up until now, however, shipping has tended to buck the trend somewhat. Research into autonomous ships is underway, but the same level of progress that we have seen across other modes of transport has yet to be realised. With over 90 per cent of world trade taking place via the oceans, autonomous systems represent an opportunity to revolutionise shipping, significantly reducing both its cost and environmental impact. The industry is busy making strides to address the emissions issue, as rising fuel costs and stricter regulations governing Emission Control Area (ECAs) force shipping companies to seek efficiencies and operate greener. Autonomous ships represent an opportunity for a big leap forward, with vessel redesigns potentially delivering hydrodynamic improvements that would improve fuel efficiency. Besides fuel, the next biggest cost for shipping companies is labour. Unburdened by concerns over crew costs and onboard facilities, unmanned vessels could spend longer at sea, reducing speeds and further improving fuel efficiency. It has been estimated that a 30 per cent drop in speed by a bulk carrier can lead to a 50 per cent reduction in fuel use. Combine this with the savings on crew salaries, as well as the overheads associated with maintaining a crew onboard, and the scope for a much more efficient shipping industry becomes clear. Despite the potential for these gains, there are plenty of legitimate concerns around the prospect of autonomous ships. Naturally, safety must be top of the agenda, and building intelligent unmanned vessels that can navigate the oceans with minimal oversight will not be easy. Robust communications systems will need to continuously deliver information from ships back to land-based operation centres. For ocean-going vessels, this means a satellite infrastructure capable of handling large amounts of traffic, with built-in redundancy and backup systems. ”With ships you need to have good enough satellite coverage in all weather conditions around the world. You have it in certain places, but it’s not really worldwide yet. No crew onboard also means no engineers to fix problems in engine rooms, or anywhere else throughout the ship for that matter. For this reason, reliability is a major concern. If an autonomous car senses an engine problem on the road, it can pull over and wait for assistance to arrive. A ship adrift in the middle of the ocean is an entirely different prospect. And what if that ship happens to be a fully loaded oil tanker off the horn of Africa, with pirates operating nearby? 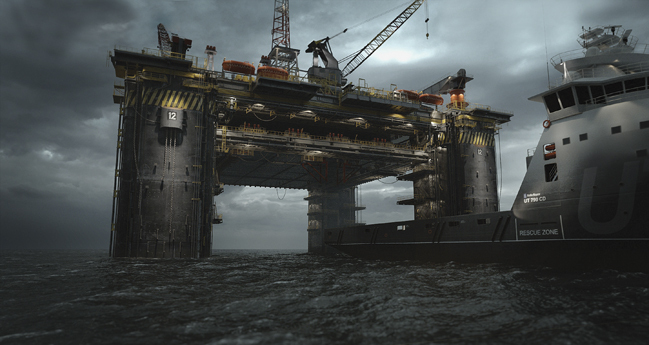 What if the threat is more remote – a team of hackers holding a ship ransom as they threaten to steer it to disaster? 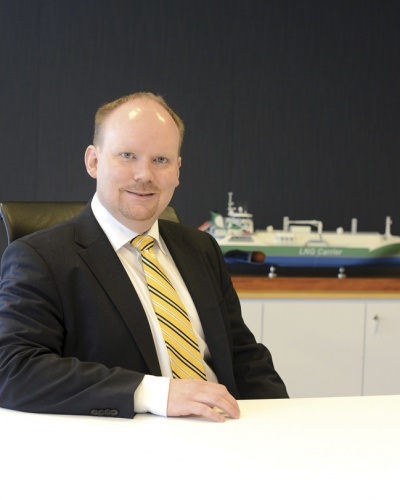 These are issues that are real, but can all be addressed, says Oskar Levander, vice president of innovation, engineering & technology at Rolls Royce’s marine division. The company recently announced that it is to lead a new €6.6 million project which hopes to pave the way for autonomous ships, in collaboration with a number of industry partners and academic institutions. Known as the Advanced Autonomous Waterborne Applications Initiative, the project is being funded by Finnish technology agency Tekes, and will run until 2017. Its stated aim is to deliver specifications and preliminary designs for the next generation of advanced ship solutions. 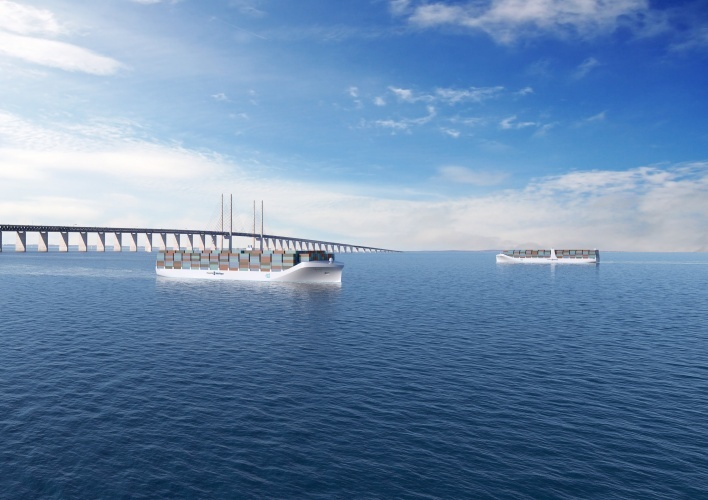 According to Levander, progress towards an autonomous future for shipping will be incremental, with individual flag states taking the first steps before the International Maritime Organisation (IMO) develops international agreements. The relatively low speeds and big expanses of ocean involved in shipping mean that, in some respects, autonomous and remote controlled vessels should be a more straightforward prospect than other modes of transport, where higher speeds and less margins for error exist. But the communication challenges with autonomous shipping are entirely different, with reliable satellite connectivity essential. As a result, early adoption is likely to happen first on a local level, near to coastlines where communications are more reliable than in mid-ocean, and where human intervention is not too far away if required. Levander says the first unmannned vessels will most likely be ferries, harbour vessels, or coastal cargo ships, with individual countries legislating for their territorial waters. “The first real unmanned ship applications that we will see will most likely be locally operated ships that are within one or two countries’ waters, because then that flag state can basically give permission to that ship’s operators before there are international regulations,” he says. Regarding piracy, Levander is quick to point out that an unmanned ship is a less attractive prospect for pirates, as there is no crew to ransom. Vessel redesigns could also make it more difficult for pirates to board, as crew mobility would not have to be considered and gangways could be removed. Nonetheless, Levander admits that boarding from pirates could not be ruled out completely. However, if the ship was being controlled remotely, the controls could be coded, so the only option left available to pirates would be to disable the vessel and potentially try to tow it. This of course presents its own difficulties, and would not escape the attention of the navy for very long. With no hostages for protection, a group of pirates towing a ship slowly across the ocean might find themselves in a very sticky situation. He cites Rolls Royce’s experience in aviation, and the security protocols that already exist to prevent hackers gaining control of planes. Similar systems for ships could be easily applied, he says. Once the safety and reliability issues have been addressed, the business case for unmanned ships is strong. No crew means more space for cargo, reduces operating costs, and also potentially allows for dramatic vessel redesigns. “When you really start thinking about it, a lot of the way a ship looks today – not only the deckhouse, but how it’s laid out – a lot of things are determined by the fact that you have crew that need to walk around and access things,” says Levander. A ship’s crew are also hungry energy consumers. Levander estimates that unmanned vessels could reduce fuel consumption by about 15 per cent purely through the crew’s absence. Optimum speed without a crew is also lower, allowing further savings to be made on fuel. Furthermore, Levander argues that unmanned vessels are inherently safer, with a lower level of risk and consequently lower insurance payments. All this sounds like great news for shipping companies, but perhaps less so if you are currently employed at sea. Levander acknowledges that some unions are already expressing reservations about autonomous ships and the future livelihoods of seafarers, but he claims that the general reaction has been more positive than negative. He also notes that the shipping industry has been fixed on this course for a long time, with the number of crew required onboard diminishing steadily for over a century. Levander believes that when the autonomous revolution takes off, new jobs within the industry will be created. These will of course be different jobs than those that currently exist, so there will be an onus on those in the industry to evolve in order to survive. Being an early adopter is clearly part of Rolls Royce’s strategy, as it takes the lead on the Advanced Autonomous Waterborne Applications Initiative. It is a project that will see it work alongside other major players in the industry, some of whom are competitors. At this stage however, Levander believes that cooperation is a better strategy than competition to move forward with. “It’s very clear that as a company we have a broad portfolio in the marine industry, but we can’t do this alone, and that’s also why we’ve been so public about it,” he explains. One of the indsurty partners is DNV GL, the world’s largest classification society. These are NGOs that establish and maintain technical standards for the construction and operation of ships, and they play a vital role in the industry. 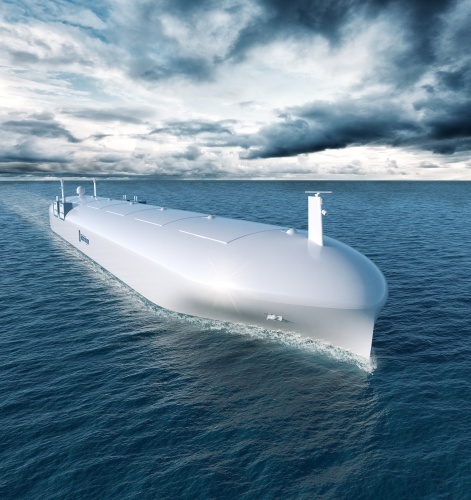 British satcom giant Inmarsat is also involved, reinforcing how important satellite connectivity will be to the future of autonomous shipping. Remote control will be a key step in the path to autonomy, and will likely remain a key component even when full autonomy is achieved. According to Levander, this should greatly increase the amount of data that is shared over satellite systems. “In this regard, we see it as better to cooperate and work together to take this forward, because we think we can accomplish more if we work together than if we start competing at this point of the journey,” he says. After the project ends in 2017, a new ‘proof of concept’ phase will begin. Specific goals are in place for the current phase, but Levander is unable to share details at this stage. He is clear, however, that the aim of the project is to take genuine steps towards the introduction of unmanned vessels, and not just produce academic research. The hope is that those steps will see a gradual incorporation of remote control and autonomy, with crew numbers reducing slowly as less labour is required onboard. It is also important to remember that unmanned ships will not entirely bring an end to life at sea. 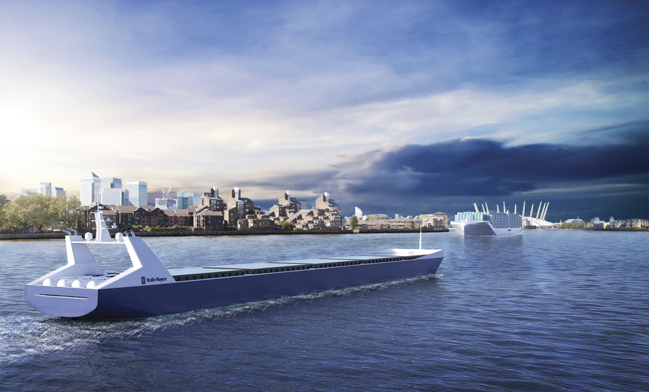 While transporting cargo is well suited to an autonomous future, other types of ships will retain their crews for a variety of reasons, according to Levander. I’m all for moving forward but if the benefits are not shared I’m not sure were this is taken us. Given the lengthy period ships are at sea some breakdowns will be inevitable so every ship autonomous or not will need provision for maintenance crew access even when in the middle of the ocean. What decides how quickly autonomous vessels are taken up may ultimately be the range of maritime helicopters. A helicopter can’t go across the ocean. They will have to build a seaplane big enough to hold a helicopter. Oscar Levander should make an effort to check facts before expressing them as evidence for a case. NO cargo ship of 150 years ago had crews of 250—–smaller square rigged warships–frigates upwards-had crews getting that way, but that applied to two-three masted vessels that needed a crew both to fight the ship (man cannon requiring perhaps 6 to 8 men a gun) on one side and sometimes both port and starboard (?larboard?) sides with reduced gun crews.